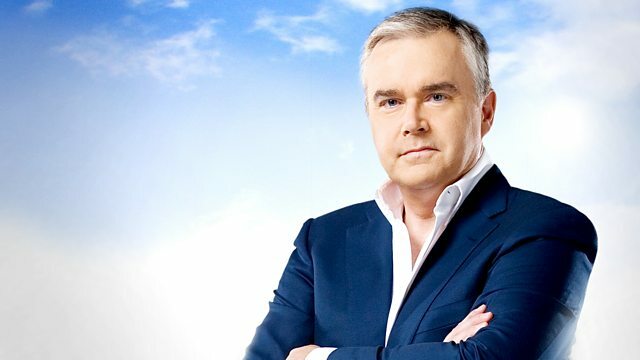 Huw Edwards in London with Sophie Raworth in Belgium introduce an evening of live coverage of commemorations marking the centenary of World War I. The evening begins with HRH The Duke of Cambridge, accompanied by the HRH The Duchess of Cambridge, and HRH Prince Henry of Wales attending a unique commemoration held in St Symphorien military cemetery in Belgium, where British, Commonwealth and German soldiers are buried alongside each other. Hosted by Dan Snow, the commemoration pays tribute to those on all sides who died. Among those taking part are Gareth Malone with a children's choir singing their own specially-written song, Eddie Redmayne and serving British and German soldiers reading poems and testimonies. For the first time ever, musicians from the London Symphony Orchestra and the Berlin Philharmonic under Sir Simon Rattle come together to mark the occasion by performing British and German music. Programmes and episodes from the BBC's winners at the 2015 BAFTA Television Awards.